The members of the Group of 20 leading economies have agreed to work together to tackle global imbalances and aging populations, viewing them as structural issues that could hinder sustainable and inclusive growth of the global economy, South Korea’s finance ministry said Sunday. The G-20 will look into imbalances between savings and investments for multilateral solutions to global imbalances while seeking various policy options, such as fiscal, monetary and structural reform, to deal with aging populations, the Ministry of Economy and Finance said. The consensus was reached at last week’s meeting in Tokyo that involved finance and central bank deputies of the G-20 countries, as well as Singapore, Spain, Vietnam and five other invited countries, and officials of the International Monetary Fund and the World Bank, according to the ministry. South Korea was represented by Kim Hoe-jeong, deputy minister for international affairs at the Ministry of Economy and Finance, and Ryoo Sang-dai, a deputy governor at the Bank of Korea. 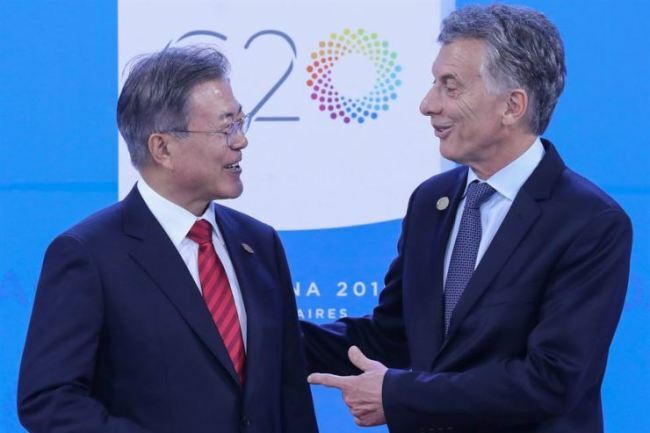 The G-20 also agreed to strengthen cooperation to come up with a consensus-based solution by 2020 to deal with the influences the digitization of the economy could have on the international taxation system, the ministry said.